Are you tired of Uber, Lyft, Etc. reducing your Phone Calls and Email Inquiries? Register Now and Get More Inquiries you can benefit from! Don't waste your money on website clicks or fixed-priced ads that bring you few or no leads. Now… No Sign Up Fees. You Pay just for Leads !!! These are LEADS, Not just Clicks!!! A Lead is an introduction to a consumer who is immediately looking for information on transportation in your service area. More importantly, these Leads are booking opportunities. Each Lead includes a Contact Name, Phone Number and/or Email Address, Service Location, Service Type, Date of Service, Time of Service, Vehicle Preference and Number of Passengers. Pay Just $2.00 A Lead! We are Smartphone, Tablet, and Desktop Optimized for a smooth user experience!!! AirportService.com is your source for comprehensive and effective customer acquisitions. We supply small, medium, and large transportation providers fresh real-time leads of ground transportation consumers. Since 1998 AirportService.com has been working tirelessly to become one of the industry’s most comprehensive and effective prospect acquisition websites. We have a high marketing budget which is needed to attract and supply you with transportation shoppers for airport service, weddings, night-on-the-town, sporting events, point-to-point service, graduations, birthdays, anniversaries, and bachelor parties. Our site was designed with today’s transportation provider in mind to help you achieve maximum success. Our Member Profile puts you in control and enables you to manage all major and minor aspects of your account as needed. 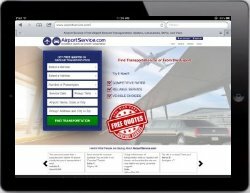 Are you unsure if AirportService.com is right for you? Then register your transportation company and fund your account with just $30.00 (thirty dollars) to see how it can work for your business. If you don't like the results, you can cancel at anytime. * These examples are for illustration purposes only. Success rate may vary. Our current Lead Fee is just $2.00 (Two Dollars U.S.) per lead. We will email an invoice to you to show billable activity. All billing is processed by credit card or debit card. For more information See FAQ's, Terms of Service, and Testimonials. AirportService.com can bring you more customers at a lower cost than print advertising. Yellow page and Newspaper Advertising requires large fixed spending with no guarantee of results. 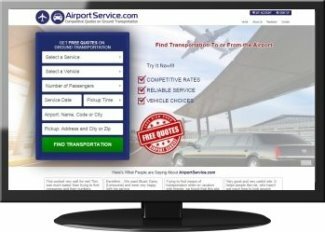 AirportService.com provides targeted leads from consumers searching for Ground Transportation in Your Specific Service Area. You avoid high up-front costs and pay only when a consumer contacts you! Direct mail has a typical response rate of less than 1%. Why spend a fortune on direct mail with questionable results? AirportService.com members close an average of 5% - 15% of their leads. Everyday AirportService.com distributes qualified Airport Transportation Leads to our participating limousine members. We offer legitimate transportation companies a great opportunity to join our advertising program and pay only for Leads*. Do you provide transportation to and from the airport? If so, take a moment to Register below. * Website Advertising Ltd, has the right to limit, omit, restrict, edit and/or cancel any listing for any or no reason. This site is managed by Website Advertising Ltd., 123 South Street, Oyster Bay, NY 11771 · (516) 922- 4043.